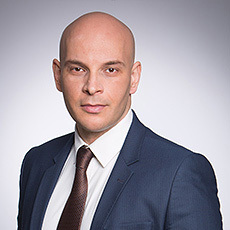 Mr Răzvan Graure has been working as a tax consultant for more than 13 years, previously for more than eight years in Big4 companies. 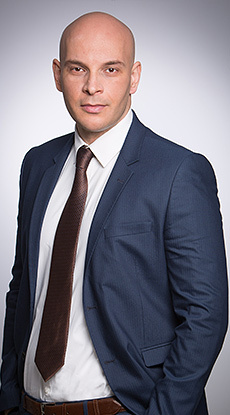 He has gained a broad experience in VAT refunds, a wide range of tax advisory services, including tax planning and international efficiency tax structures, tax optimization, identifying potential tax risks and implementing fiscal risk minimization solutions. His experience covers a broad array of industries, such as FMCG, retail, automotive and energy. In his extensive practice, Răzvan was heavily involved in important mergers & acquisitions, as part of multi-disciplinary teams, helping both buyers and sellers move forward to a successful transaction from the fiscal point of view. Răzvan is a member of ACCA and, a Certified Tax Adviser. A leading Canadian company engaged in the exploration, development and production of crude oil and natural gas in selected areas of the world, on the whole array of VAT, customs duties and corporate income tax issues regarding the construction of a large gas storage deposit in Romania. One of the largest American-owned companies in the wine and spirits business for its tax challenge against Romanian tax inspectors’ findings during an audit performed at the level of the local entities. A leading global health care company with respect to various tax issues arisen from the restructuring of the group’s business worldwide (including Romania), as well as with respect to the separation and transfer of the Established Products Division business. The largest retailer in Romania, on various tax matters with respect to the expansion of the group in Romania. A leading Romanian manufacturer of automotive parts, on transfer pricing adjustments performed with related parties and possible implications arising from the current adjustments, including preparing the transfer pricing documentation as per local law requirements. A major local FMCG producer with respect to the tax implications deriving from the sale of a large real-estate property. A leading Romanian distributor of agricultural machines on specific VAT and corporate income tax issues in relation to its operations in Romania. One of the world’s leading brewers operating across six continents, with respect to an anticipated tax facility regarding the taxation treatment of stock options plans awarded in Romania, as well as with respect to various tax matters related to SabMiller’s operations in Romania. A major logistics provider with regard to the tax audit performed by the Romanian tax authorities (the Environmental Fund Administration) in relation to environmental tax matters of pallet transportation. The Romanian subsidiary of the world’s third largest manufacturer of high-end appliances with respect to the internal tax audit performed on past tax liabilities. One of the world’s foremost providers of consulting, technology and outsourcing services with respect to the merger by absorption of a local company including assessing the tax implications in connection with the envisaged merger, preparation of the pre-merger documents, as well as review of the computation figures in connection with the new shares to be issued as a result of the merger. The mandate also included assistance for the implementation of the merger process. The Romanian subsidiary of an Italian multinational renewable energy company in a complex challenge initiated by its subsidiary against the tax authorities for recovery of VAT related to the connection fee paid for setting up new electricity capacities. The mandate included, inter alia, submission of the case to the European Commission in order to obtain a legally binding interpretation of the EU VAT Directive implemented in the domestic legislation. A leading American electronic commerce company in view of benefiting from several tax facilities for its employees, including drafting the relevant documentation. Several major State owned companies in relation to reviewing and assessing the tax related issues in the context of numerous tax due diligence reviews performed with respect to the restructuring and/or privatisation of these companies. Various leading private companies for performing the elements of the tax due diligence in the context of various mergers & acquisitions transactions successfully closed with the legal assistance provided by Mușat & Asociații.